The 24th of December is definitely not a holiday here in Kuwait so most of us Filipinos will be having our Christmas “Noche Buena” at work or right after we finish our work. 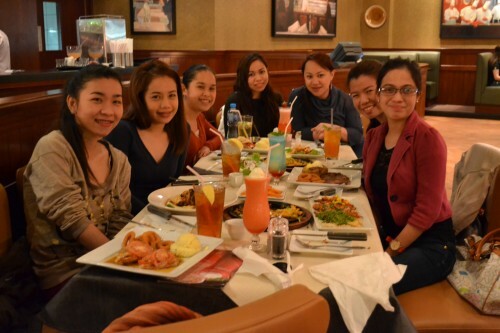 Me and my workmates decided to dine out instead of cooking our special Christmas dinner since we’ll all be going home late from work. It’s freezing cold outside which makes eating by the seaside after getting some takeaways not a good idea. We decided to have it in one of the semi-fine dining restaurants along Salem Al Mubarak Street, specifically at the Laila Gallery. 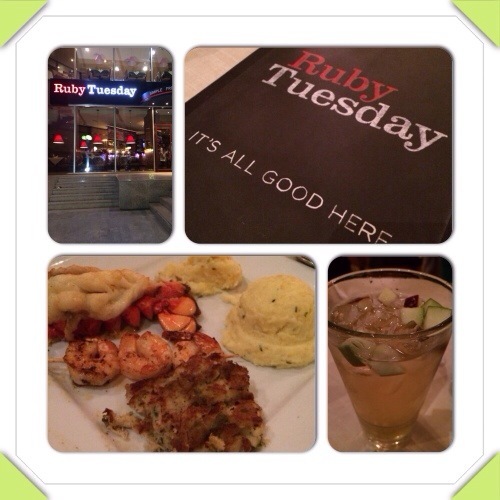 It’s called Ruby Tuesday and since Christmas eve falls on Tuesday this year, the place is just so perfect. Most of the items in their menu are seafood cuisines which makes me nervous a little bit because I’m allergic to it. Though I really don’t care since I want to get used to eating them to finally develop an immunity in the long run. Good thing I brought an antihistamine drug just in case I turned red with all the rashes. 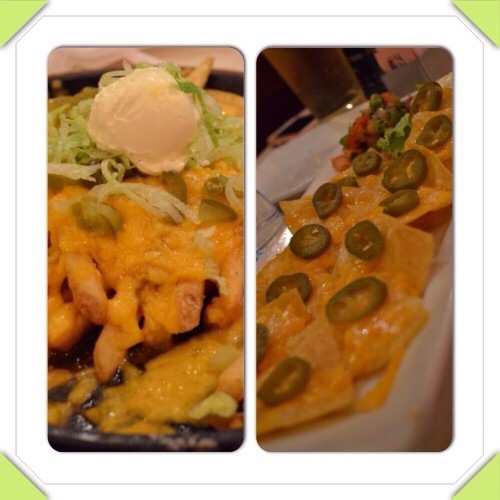 For starters, we had these nachos and chili fries which I can no longer remember their full names because we were dead hungry that time and consumed everything in a flash! 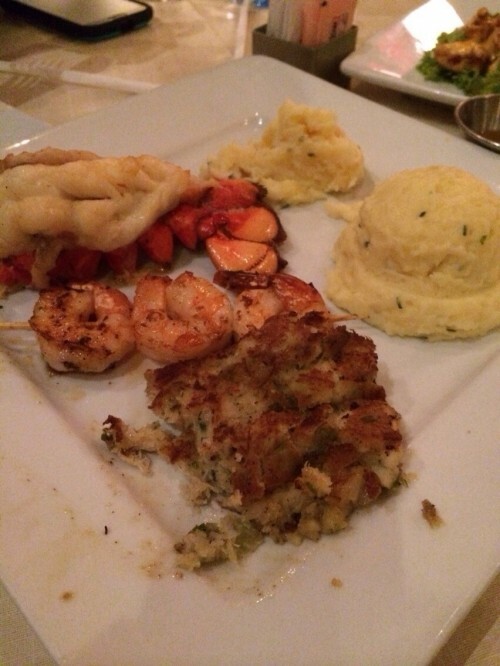 I ordered this Shellfish Trio which is composed of grilled shrimps, broiled lobster tail and a crab cake. It also comes along with a free mashed potato side dish. The serving is quite small for its price and there’s nothing special on the taste. It’s just a typical seafood meal. We also had these Thai Phoon Shrimp crispies which compensates the not-so tasty main course which I already mentioned. 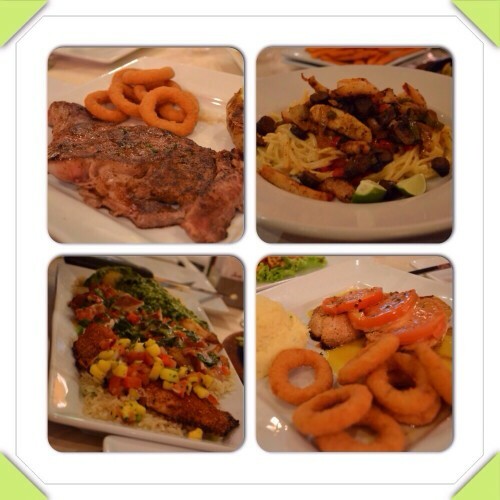 Here are some of the food that workmates ordered which I enjoyed tasting too. Good thing they’ve got the most refreshing drink that I ever tasted. 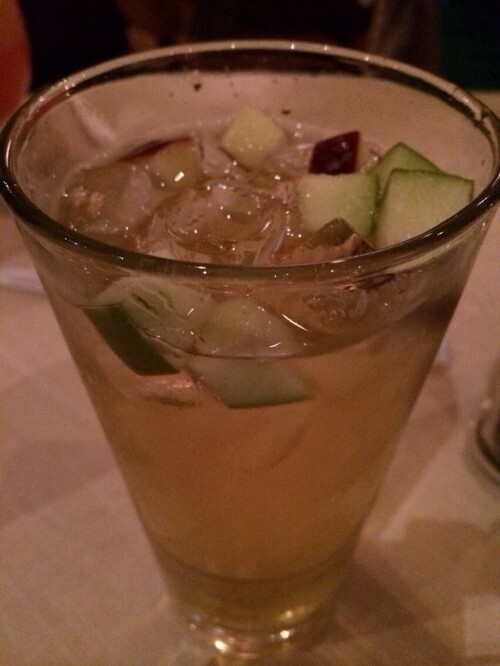 They are calling it Apple Cider Fizz which a combination of sprite and apple juice with fresh bits of apples. I may not be able to enjoy the food that I had that much ‘coz it didn’t have a major spark on my palate, still I’m very thankful that we were able to celebrate Christmas eve together with my Ebtisama Nurses family. Merry Christmas! 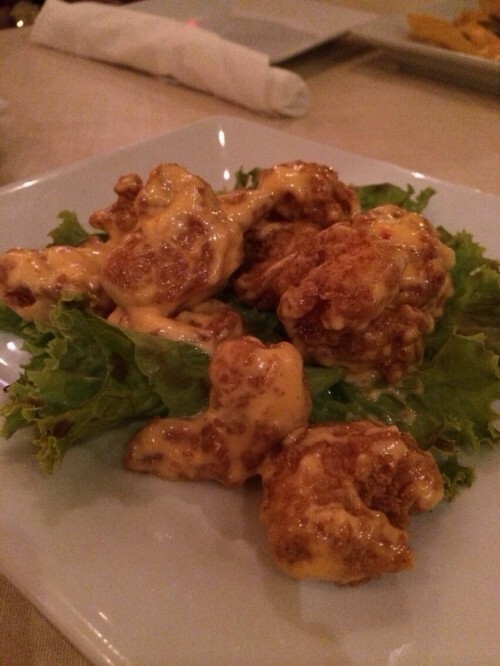 This entry was posted by Nice Urdaneta, who has written 12 posts as nice, on Friday, December 27th, 2013 at 6:12 am and was filed under Restaurant.